(HealthDay)—Twice-weekly certolizumab biologic appears to be both safe and effective for the treatment of moderate-to-severe chronic plaque psoriasis, according to a study published online April 13 in the Journal of the American Academy of Dermatology. 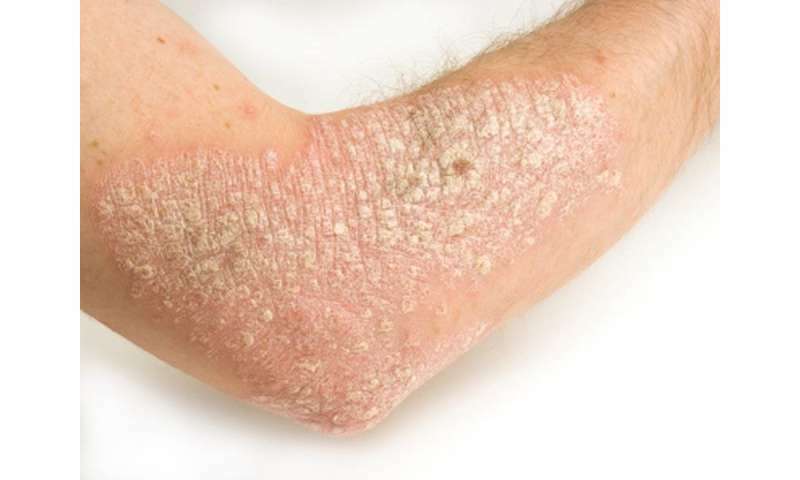 Mark Lebwohl, M.D., from the Icahn School of Medicine at Mount Sinai in New York City, and colleagues assessed the safety and efficacy of certolizumab (400 mg or 200 mg) taken twice weekly for 16 weeks by adults with moderate-to-severe chronic plaque psoriasis. Comparisons were made to placebo or etanercept 50 mg twice-weekly for 12 weeks. The researchers found that the responder rates (≥75 percent reduction in psoriasis area and severity index) were significantly greater for certolizumab versus placebo at 12 weeks, with the greatest response seen with 400 mg. Certolizumab 400 mg was superior to etanercept, while certolizumab 200 mg was noninferior. The drug also maintained results at 48 weeks for patients who were re-randomized to placebo or continued with certolizumab. Reported adverse events were similar to those previously reported with the anti-tumor necrosis factor class. "Both certolizumab regimens improved psoriasis symptoms, with greater response at the higher dose," the authors write. "No new safety signals were observed." Several authors disclose financial ties to pharmaceutical companies, including Dermia, which funded the study.